They came in and did an wonderful job. They were neat, they put down covering so they wouldn't mess up our carpeting and cleaned up after themselves before they left. They were efficient and quiet . Their crew leader appeared to be very knowledgeable about home energy saving solutions and he explained and walked me through everything the guys did to my house to make it more energy efficient. Our particular property is a difficult one, given that the house was built in 1834 and there have been numerous additions since as well. This creates really, a series of insulation challenges. Anyone can, of course, just blow cellulose into an attic but as this team points out, finding the source of air leaks is paramount to getting the result you're looking for and in a property like ours that's no easy feat. They inspected twice and have gone thru considerable effort to nail down our challenges. They used a heat seeking gun to study non obvious problem areas and studied the construction of the property to find the areas with the greatest payback. They were friendly, professional, and thorough. So far just an audit and proposal, but I'm planning on using them for my insulation needs! 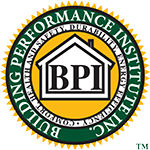 I trust this company, and would recommend them to anyone planning on doing energy efficiency auditing and/or insulation. I've appreciated their flexibility and candor, and I'm looking forward to moving forward with them for the job. "From start to finish the personnel who helped us insulate and make our home more comfortable were polite, knowledgeable, factual, and demonstrated a professional knowledge and understanding of how to insulate and make our home comfortable. The energy audit was complete and well documented what steps needed to be taken in our home to decrease our energy consumption and make our home more livable and warm this winter. We were presented with actual pictures of the problems found and accurate costs for make corrections. The options were left up to us with no pressure and many alternatives. The actual crew that arrived on time, carefully provided cover and drop cloths for all areas, prepared all areas and kept us informed as to how the work was progressing. They anticipated that it might be a day and a half, but were finished and all cleaned up within the first day. Insulation was added to our attic and double garage celling thus insulating the bedrooms above and the pipe sealing and work in the basement went as planned. Extra care was taken as ceiling fixtures in three rooms were retrofitted with new LED lighting and all work was completed in a professional manner. 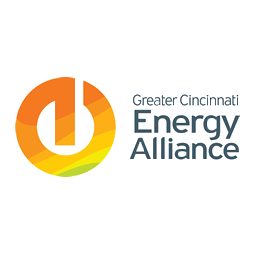 We are so pleased with the work completed by Sustainergy Cooperative and are more than happy to highly recommend them to all of our friends in the Cincinnati area." "Sustainergy Cooperative patiently completed an unconventional project in working with me, a guy with an architectural background who lives way up in Hamilton, OH. I really appreciate their accommodating my budget/geographical constraints and, at the same time, atypical ventilation requests and modifications. For instance, they installed 2 attic gable fans, added soffit vents and removed old insulation from the sloped attic rafters to improve the house ventilation. This is not the typical insulation job and yet they completed my difficult requests. Flequer was very thorough, thoughtful, open-minded and spent a lot of time coordinating with me. I really appreciate this. I also appreciate the very difficult, confining and dirty work that Chris, Samir and Lindsey had to deal with while at the house. They were very friendly and polite - professional in sum. In terms of a critique, there was one point in which I am glad that I double-checked the work of one of the co-owners. As mentioned earlier, I had requested that increased ventilation be added; more specifically, under the roof-sloped rafters between the side crawl space and mini attic above. One of the team members had shoved rigid foam board insulation into the old insulation, essentially packing/bunching up the insulation rather than increasing air flow. This would have nullified the effectiveness of the soffit vents that I had him do earlier in the project. After discussing this concern with the team, they patiently came back and did the job per my difficult/unique request. Given all of this, I would say that I have gotten a good deal on a difficult project and I want to give the co-op credit for not giving up when I had changed my admittedly difficult requests. 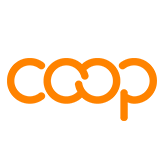 So, in sum, I would definitely use their services again and recommend them to anyone out there who's reading this. Well done!" "The crew from Sustainergy Cooperative were great. They were honest about the needs for insulation in the home without trying to only make money. They adjusted the original contract when they saw that there was already insulation in one of the areas. Everyone I spoke with via online or on the phone or in person was professional and very friendly. The materials used are high quality and have made a huge difference in the comfort of the home even after one night. The installers were friendly, efficient and knowledgeable. They worked all day with very few breaks and completed the job quickly. You would never know that this job had been done because when they left they cleaned up any and all debris, leaving the house in top condition. Their price was extremely reasonable as compared to the other estimates we received for the same amount of work/materials. I would, and have already, highly recommended them to others. Their mission is admirable as well. Please give them a call to meet your insulation needs." "Things went great from start to finish. I was given a thorough explanation of what was needed in my home and why we should get the work performed. The technicians showed up right on time, they were friendly, knowledgeable and considerate. Throughout the day, they were able to explain some other small, quick fixes to areas in our home that were added to the work load. They were clean and finished the work in a reasonable amount of time. I would definitely recommend them!" work with them again in the future.